won by Stahl with a gyaku-zuki. 19 year Old James Dahl describes himself as a "former skateboarder" who has lived in Dana Point all of his life. 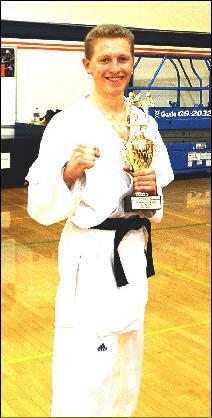 He started karate at the age of 5 with an Itosu-Kai instructor in Dana Point, and earned his red belt. 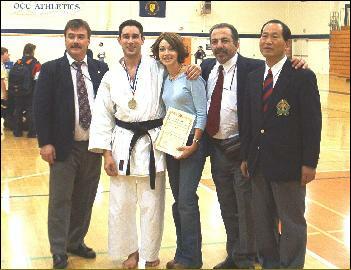 He also holds a black belt in Tae Kwon Do. He now studies with George Schmok in the Tustin / Newport area. He hopes to go on to compete internationally. A first year student at Calvary Chapel Bible College, his Christian faith is the most important thing in his life.